Spending a few days on holiday at a rural hotel is the best way to completely disconnect yourself from the stress of urban environments, get some fresh air and enjoy a different type of tourism, where direct contact with nature and the recovery of the traditional ways of life play a big part. 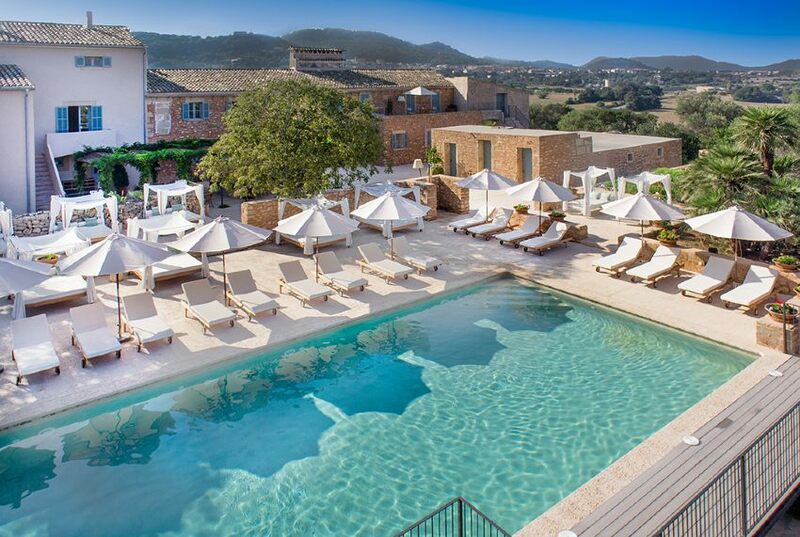 Predi Son Jaumell, Rural Hotel in Capdepera (Mallorca) is very different from other rural accommodation options, as it offers endless amenities and one of its marks of identity is maximum comfort, making it a luxury rural hotel with a different, special charm. From the moment you set foot in the Hotel, you’re delving into a world of total disconnect: its surroundings, rich in green; its 17th century decoration, hand in hand with the most up to date innovations (a large pool and modern facilities), make this rural hotel the dream of any tourist looking to get away from everything. The hotel is located in Capdepera, one of the islands most privileged areas and it’s surrounded by holm oaks, pines, vineyards and the island’s local flora and fauna. The perfect way to connect and be at one with nature! The beach is just a 7-minute drive away, so you’ll definitely get the chance to enjoy a relaxing swim in the waves. When we want to disconnect and be embraced by nature, complete rest is what we look for. That’s why at Son Jaumell, we take care of every last detail to ensure maximum comfort. Every room is special and has everything you need to feel like you’re floating in the clouds (whirlpool bath, rain shower, soft dressing gowns and beds you’ll never want to leave). The Hotel location is perfect for enjoying all kinds of mountain excursions: a visit to the Capdepera lighthouse, enjoying the views of the stunning, unspoilt coves or a climb up to the summit of Puig de s’Águila, are just some of the routes that you can do, starting from the rural hotel. When talking about looking after ourselves, diet is very important. That’s why at Hotel Son Jaumell, we’ve got a special, unique restaurant led by Andreu Genestra, a Michelin-star chef. His dishes are innovative, but based on traditional cooking. We also use local ingredients, guaranteeing both excellent nutritional value and taste, in addition to helping strengthen Mallorca’s agriculture and farming sector. Not to mention the simplest, but no less exquisite version: Senzill, where Genestra opts for the freshest cuisine, prepared using produce directly from the allotment, all of which you can enjoy under an elegant pergola. Your mouth is watering now, right?